It seems as if air bag related recalls span a number of makes, models and years of vehicles. 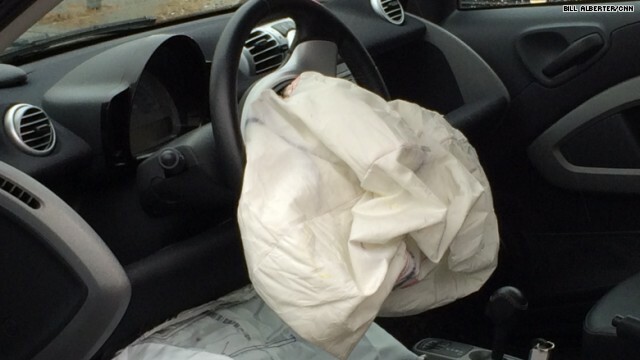 The NHTSA listed 7 manufacturer recalls of possible defective air bag related issues. A record 31,400,00 plus cars and vehicles were notified in June alone (an all time record) of possible air bag related failures. In worst case scenarios, airbags can explode and send metal shrapnel flying in a crash-an accident on top of an accident. Since hot and humid weather is being attributed to the outbreak of air bag misfortunes, our Utah summers and the muggy conditions in the South are suspect environments for these recalls. Since 1980, GT Automotive and our ASE certified and factory trained technicians have been serving Toyota, Honda, Lexus, Subaru, Nissan, Chrysler, Ford, GM-virtually all Asian, European, and domestic made car model owners in the Salt Lake Valley, for all their vehicle repair needs. Call us today, 801-302-0912, about servicing and repairing your car in Salt Lake City.